Those who are unfamiliar with the traditional cuisine of Bolivia assume that it is just like Ecuadorian, Peruvian or even Mexican food - this is far from the truth. Whilst there may be some similarities, Bolivian food is as rich and varied as its diverse indigenous population and its history. Generally Bolivian food is not spicy, but a mainstay in most Bolivian dining tables is a local sauce called “llajwa”. Made with tomatoes and hot chilies, this is Bolivia’s version of the salsa. The main meal for most Bolivians is lunch - massive in proportions and preferably eaten with their families. Lunch usually consists of soup, a main dish and capped with dessert. The streets of Bolivia also offer good, fast and cheap food and in the cities like La Paz and Santa Cruz, four-star restaurants offering fine dining and international choices also abound. 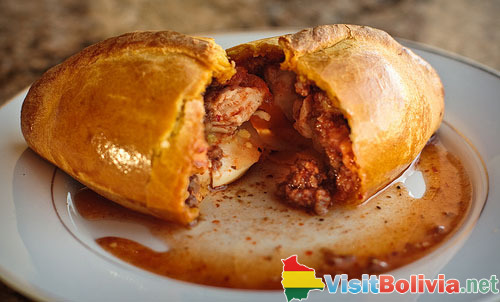 Salteñas are a popular street food in Bolivia typically taken for breakfast. The savory turnover is filled with any combination of meat and potatoes. 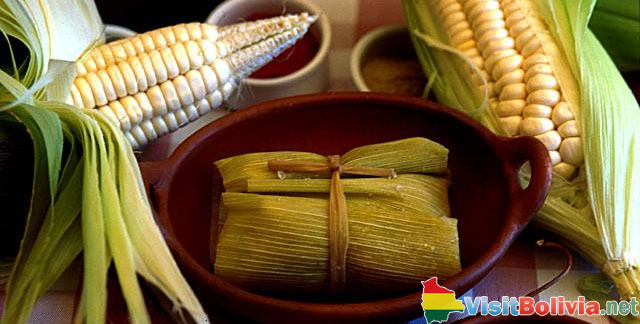 Humitas are Bolivia’s version of tamales - this is a damp sweetened corn meal mixed with onions, tomatoes and occasionally green peppers, then wrapped inside a corn husk or a banana leaf and boiled or steamed. 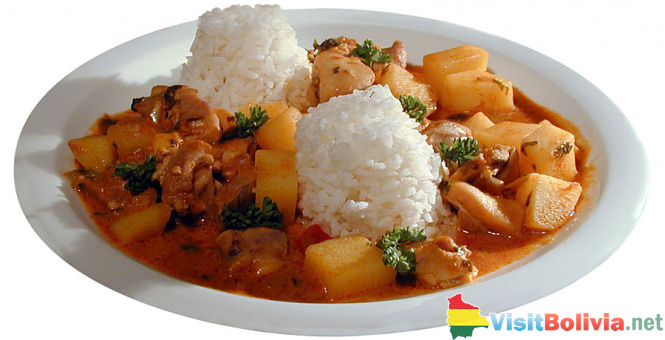 Picante de Pollo is another typical Bolivian dish which can be found all over the country. A hearty dish of fried chicken in spicy sauce and served with boiled potatoes, rice and a salad. For snacks and fast bites, there’s chicharron or fried bits of pork, pork skin and gristle; Charque de Llama which can be roughly translated as llama jerky or dried llama meat. This can all be washed down with either beer or local drinks such as the Chicha (fermented corn drink); or the Chicha de Mani (corn drink with peanuts).